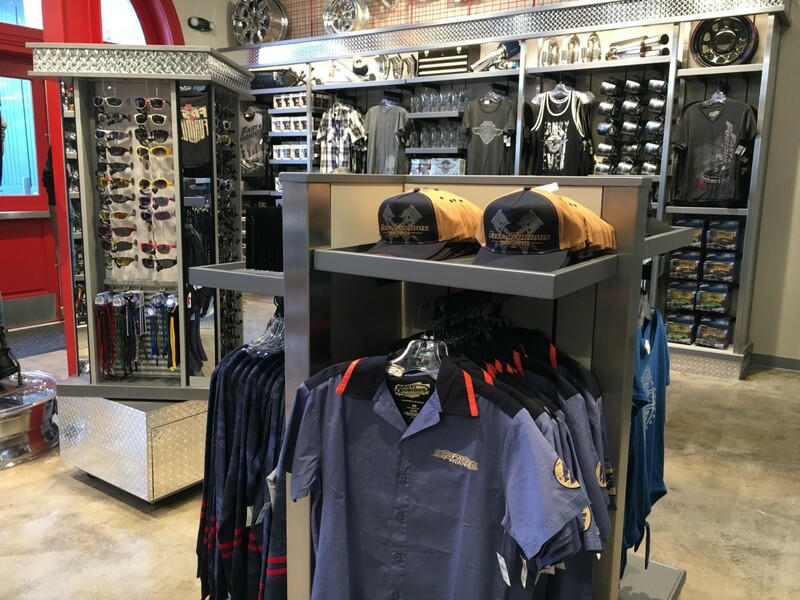 Become a part of the Fast family with a variety of items available from apparel and accessories to car decals and license plates. 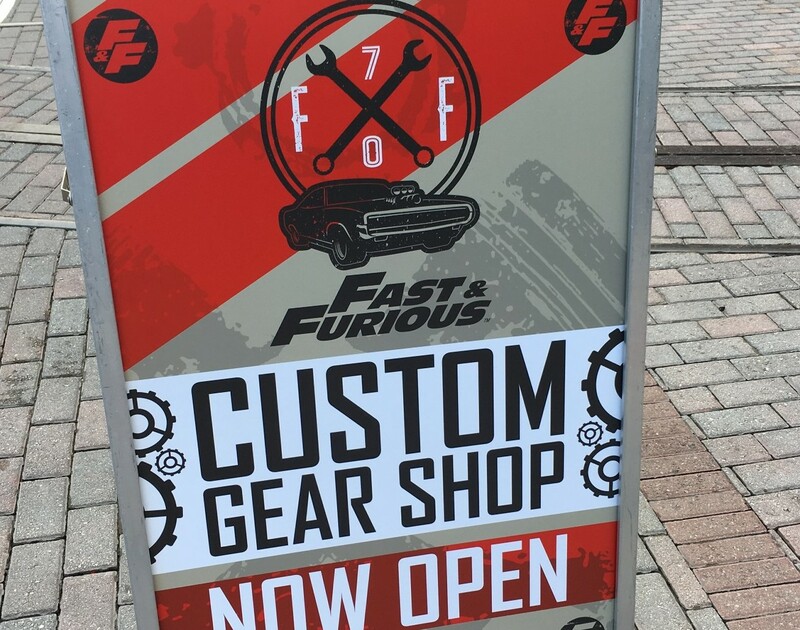 Located at the exit to Fast & Furious Supercharged, Custom Gear is your stop for everything from the Fast family including model car toys, shirts and jackets, hats, sunglasses, decals, magnets, and much more. See Dom's Offroad Dodge Charger from Furious 7 here in the store, available for taking photos with your family. This is the car that is dropped out of the airplane in the film.